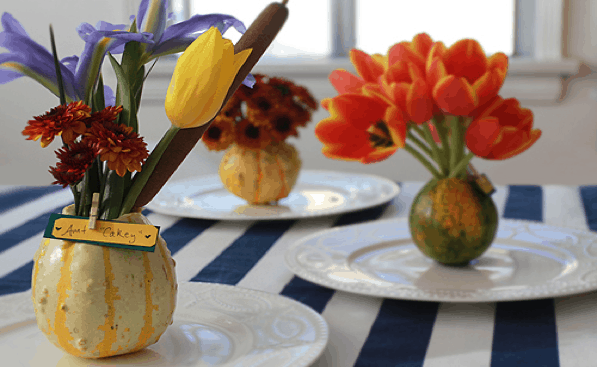 So you want to create a beautiful and fun DIY Thanksgiving this year. You’ve got all the recipes, including that amazing pie your great aunt always used to make, but what about the rest? Don’t worry. With these fun and simple crafts, you’ll have everything you need to make your holiday a success! If you’re hosting a Thanksgiving feast, the first step is to get yourself into the proper mindset of gratitude. 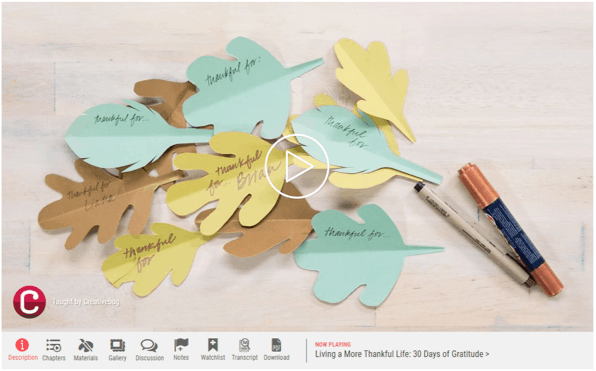 We recommend the Living a More Thankful Life class from CreativeBug. It features 30 days worth of crafts and ideas to help you feel more thankful and spread some joy to those around you. Plus, you’ll learn to make meaningful Thanksgiving table decor and even how to sew a pie carrier in case you want to deliver one to a neighbor or friend! Next, you’re going to need some Thanksgiving Invitations to send out to friends and family. 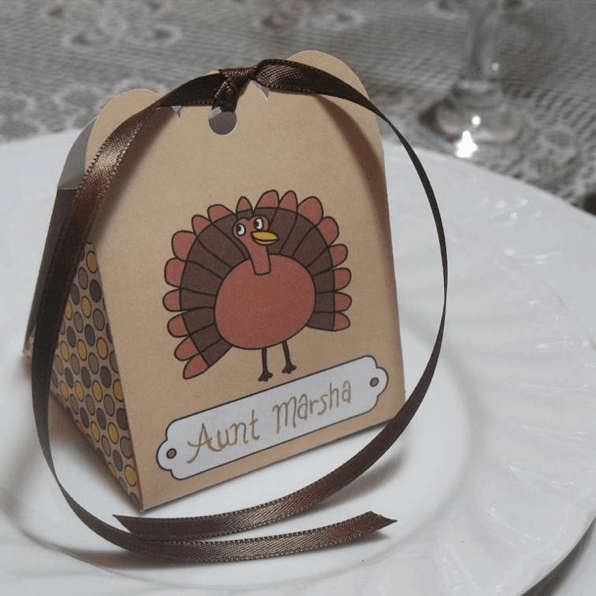 If you have a Cricut machine handy, you can make these beautiful cards from Joann Fabrics. They’re sure to delight and inspire your guests, and set just the right mood for your DIY holiday feast. No Cricut machine? No problem. 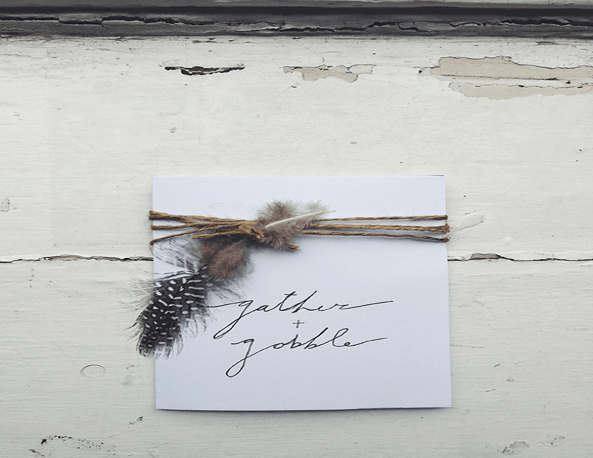 With just a bit of twine and a few feathers, these simple and stunning DIY feathered invites from Bldg 25’s Madisyn Fecko will add a dash of sophistication to your turkey day. Welcome guests to your home with a Fall Orange Grapevine Wreath design, courtesy of the crafty team at Michaels. 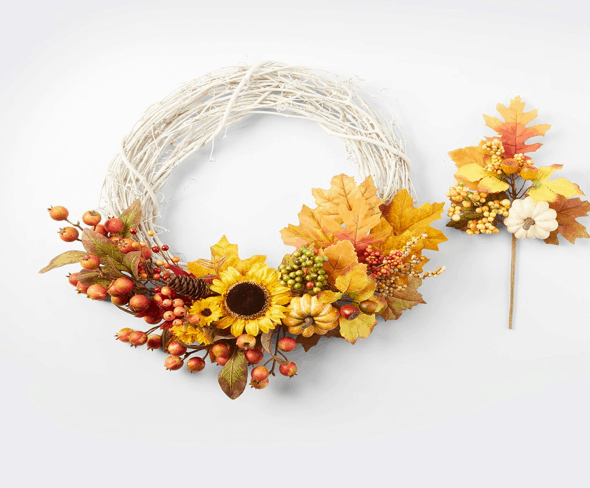 Of course, you can easily switch this up to incorporate your favorite fall flowers and other adornments. Indoors, a bit of colorful wall art can really set the mood. 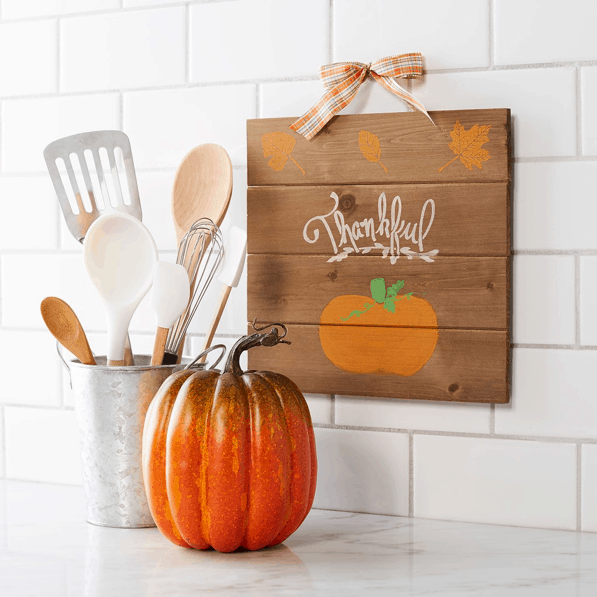 This Thankful Plaque has the kind of country chic look that lends itself so nicely to autumn and Thanksgiving. The crafts blog at Michaels has all the details on how to DIY one for your home. Looking to fill a larger wall space? 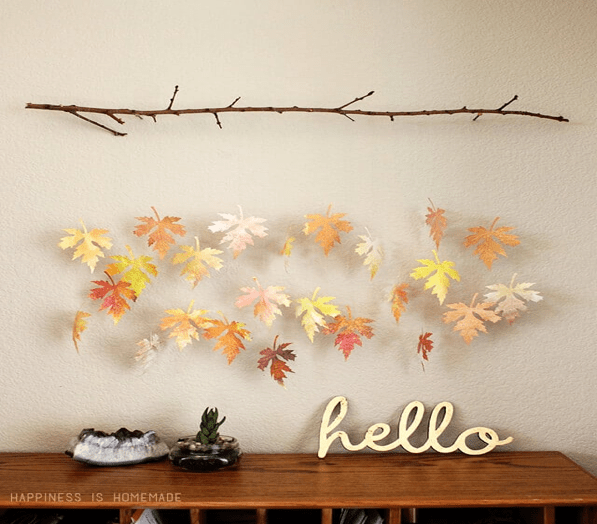 We adore this Watercolor Paper Leaf & Branch Mobile from Happiness is Homemade. It’s just the perfect kind of rustic decor for an autumn feast! 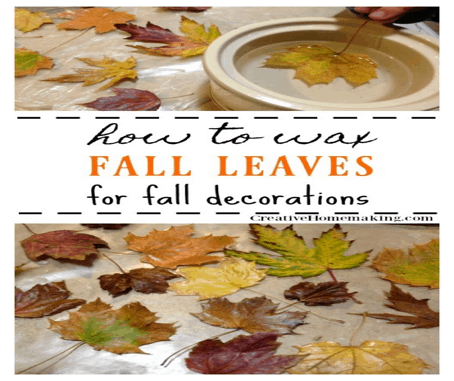 In fact, since fall leaves are such a perfect staple for your Thanksgiving decor, why not scatter them throughout the house? 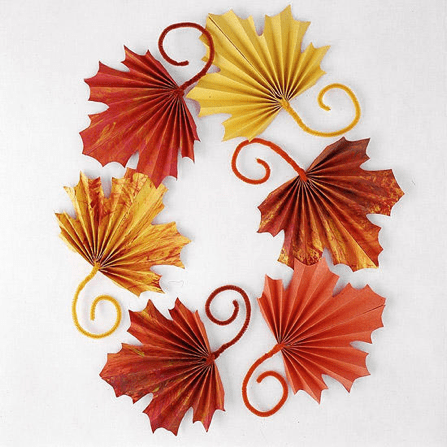 Colorful and fun options like Fan-Folded Leaves from Better Homes and Gardens or the natural beauty of Waxed Fall Leaves from Creative Homemaking are perfect accents for the mantle, end tables, or around the centerpiece on your dining table. Speaking of centerpieces, you could always order flowers online, but that lacks the personal touch crafters are known for. Instead, why not check out the Flower Arranging class from CreativeBug? 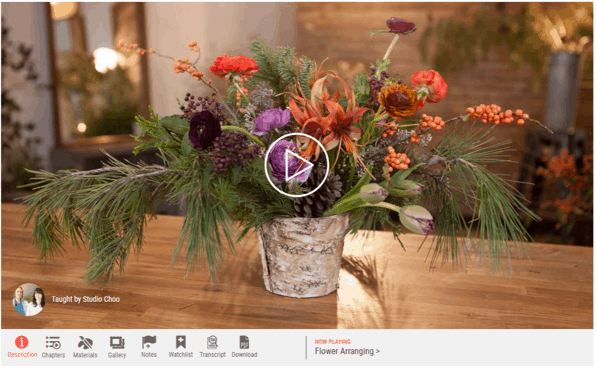 They’ll show you everything you need to know to create a stunning and one-of-a-kind arrangement to display in your home. Any Thanksgiving host or hostess will tell you that place cards are an absolute must if you’ve got an eclectic mix of guests. If you want dinner to be harmonious and fun for all involved, it’s important to arrange your guests in a way that will cut down on the family drama and keep everyone engaged in the conversation. 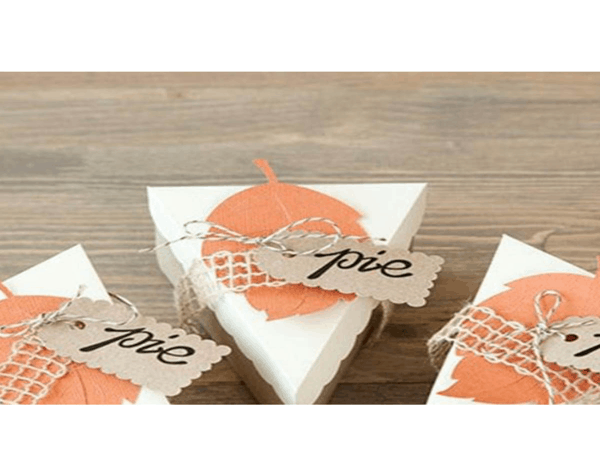 Since there are a million and one Thanksgiving placecard ideas available online, we’ve chosen a few that are sure to be crowd pleasers. Looking for bright colors and a fun fall theme? These Gourd Place Cards from the folks at the Creative Live blog might be just the thing! As a bonus, your guests can take them home to decorate their own tables after the feast. Maybe you’d like something a little lower-profile for your table? 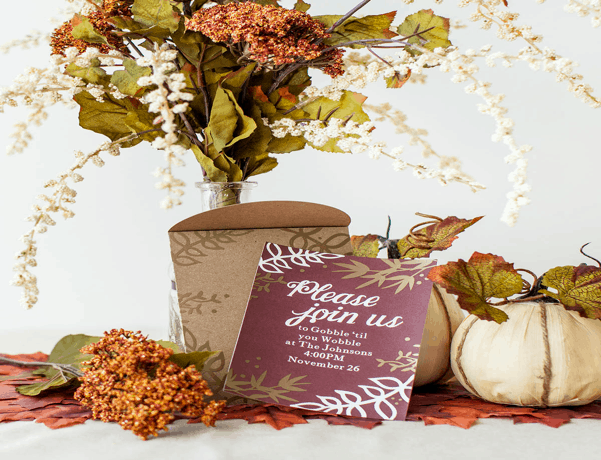 Download the Thanksgiving Favor & Place Card Template from Craftsy and you’ll have a perfect choice to direct your guests to their seats. Likewise, these adorable Pie Boxes from Joann Fabrics are the perfect place to hide away some after dinner mints or chocolates. You’ll need your handy Cricut machine to get the cuts just right on these. Serving up some yummy drinks? 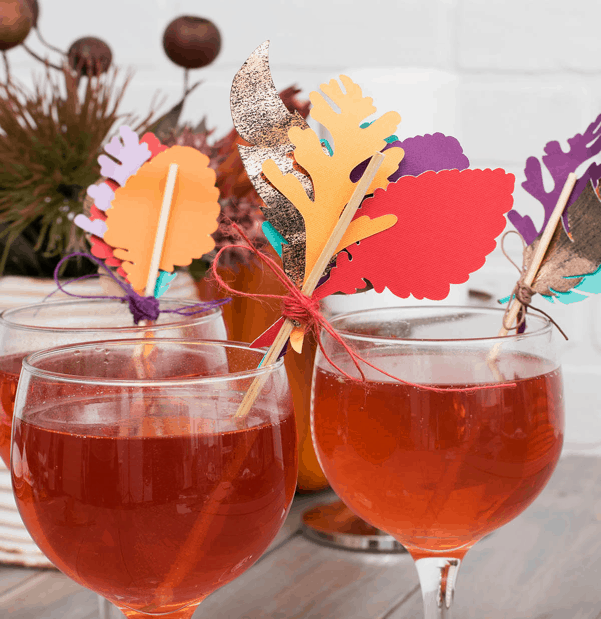 These Fall Harvest Drink Stirrers (also from Joann) are a fun way to add some festive to your holiday drinks. Plus, you can have guests write their names on the leaves to make it easy to decide which glass belongs to who. Not serving mixed drinks? They work wonderfully for after-dinner coffee too! While your guests digest and watch the big game, why not supply some DIY fun to keep the party going? Since we’re living in the age of the selfie, you can pretty well expect the cameras to be capturing Instagram-worthy moments to share with the world. 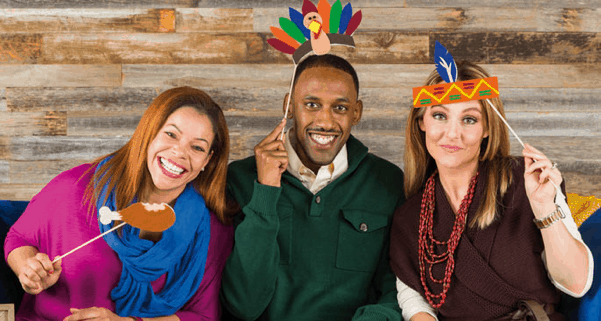 Why not make some cute Thanksgiving Photo Props to liven up those turkey day pics? The fun crew at Hobby Lobby has templates for plenty of cute options. Of course, everyone’s going to want to relax with their favorite drinks. 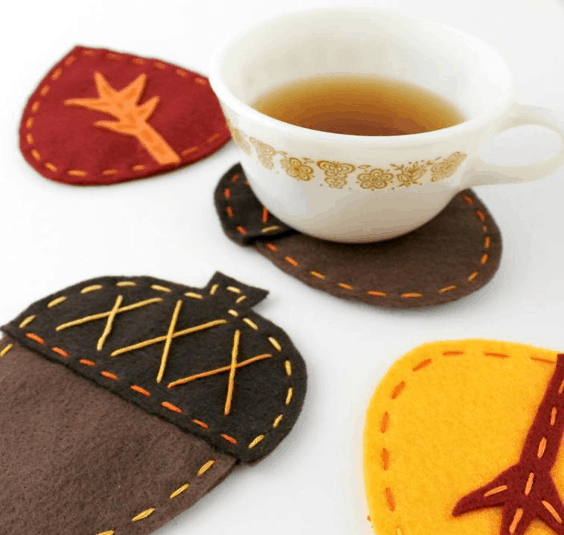 Save your table tops and add some fall flair with super cute Acorn & Leaf Felt Fall Coasters from Craftsy. They’re simple enough that you can whip up a bunch in no time at all, so you’ll have plenty of coasters on hand! We hope you’ve loved this article! Happy Thanksgiving from all of us at Crafts Glossary.